This soup in a nutshell: just throw some broccoli and cauliflower florets into the pot along with water, sunflower seeds and seasonings. Boil until soft, blend and you will have a magnificent restaurant quality soup you just can't get enough of. I know, it sounds ridiculously easy and it is! And boy was it delicious! I scooped every single drop out of the pot and licked the spoon clean. So good and good for you. I have a little obsession with broccoli and cauliflower at the moment. So prepare for another cauliflower recipe soon! Like today, I was making my favorite lemon and coconut pasta and decided to add some cauliflower too. It was delish and it really suits almost everywhere. And I will definitely make this creamy potato and roasted cauliflower salad again. 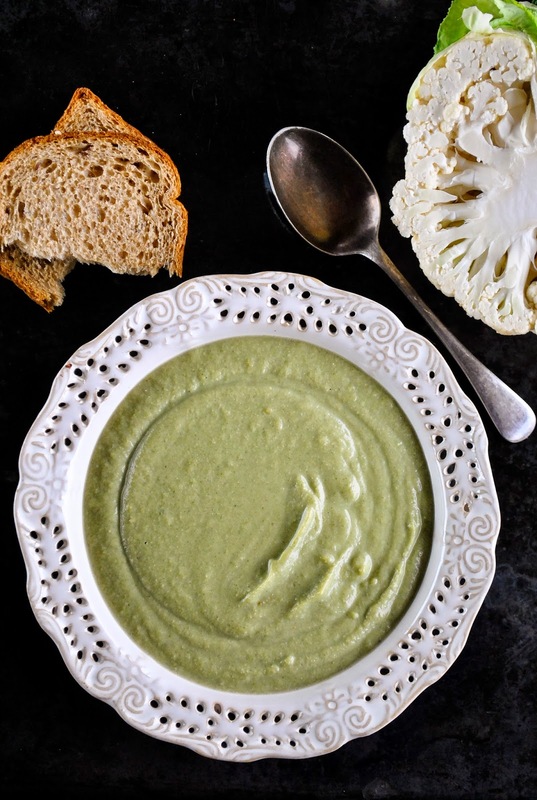 But lets not forget broccoli, another great ingredient in this soup recipe. It's great in salads and also in this super creamy soup. What is making this soup creamy, you ask? Blended veggies and of course my favorite ingredient - sunflower seeds. No need for vegan creamers or plant milk this time, sunflower seeds will do the job just perfectly. And they also add a ton vitamins and minerals along with broccoli and cauliflower. So yes, this soup moutwhatering AND healthy. Jackpot! PS! 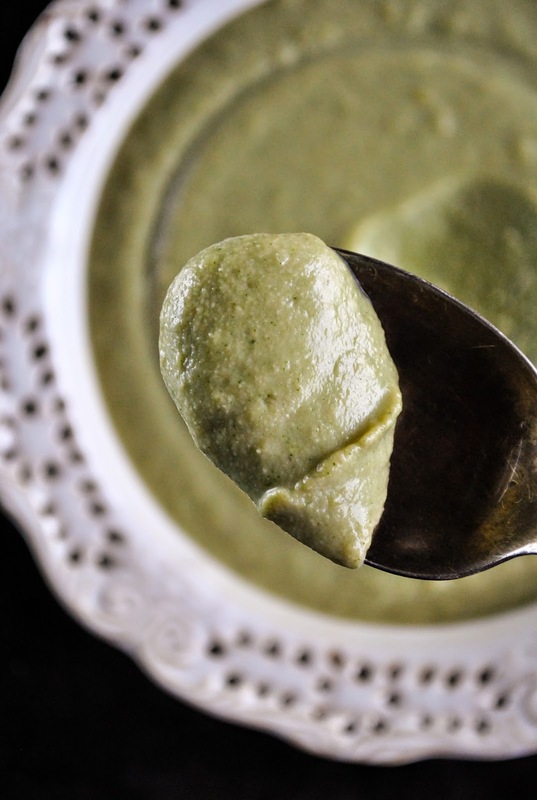 You will have the creamiest soup if you use a regular blender. Immersion blender will work too, but then the soup can be a bit more grainy. Put the broccoli and cauliflower florets into the pot along with sunflower seeds and water. Cover the pot with a lid and boil until the veggies are soft (about 15 minutes). Add salt, pepper, soy sauce or tamari and nutritional yeast flakes if you have some. Boil for a minute. Blend until smooth (be careful, the soup is really hot) and serve.